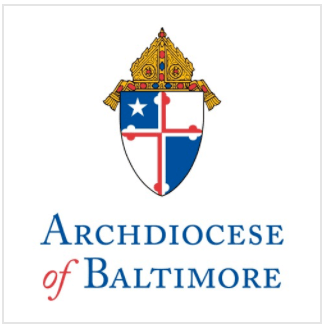 On Tuesday, March 13, parents and teachers of St. Ambrose Catholic School in Baltimore’s Park Heights community were informed that the school will not reopen after the current school year and will merge with Holy Angels Catholic School in Southwest Baltimore in the fall. Father Paul Zaborowski, OFM Cap., Pastor of St. Ambrose Church, which sponsors the school, and Mrs. Pamela Sanders, longtime principal of the school, informed the community of the decision in separate meetings, citing dire enrollment and financial difficulties and changing demographics in the surrounding Park Heights community. The school currently has 122 students enrolled—down from 225 in 2007/08 and only 65 students registered for next year. Due to the low enrollment, St. Ambrose has been unable to meet financial obligations, including payroll and health benefits for employees, without assistance from the Archdiocese. St. Ambrose families are being encouraged to attend the new Holy Angels Catholic School, located on the sprawling campus of Seton Keough High School. The school opened in the fall of 2010 and has room to accommodate all students currently enrolled at St. Ambrose. Bus transportation will be provided and the 2012-13 tuition rate at Holy Angels is less than St. Ambrose’s current tuition rate. St. Ambrose School opened in 1926. Since 2007-08, 434 students have received over $475,000 in tuition assistance to attend St. Ambrose. The school has endured double-digit enrollment declines for the past six years, in spite of the 2011 implementation of a new instructional model developed at Harvard University that uses team teaching to address students’ specific learning needs. According to U.S. Census data, Park Heights has seen a 32% decline in households with school-aged children (ages 5-17) from 2000-2010 and 41% since 1990.